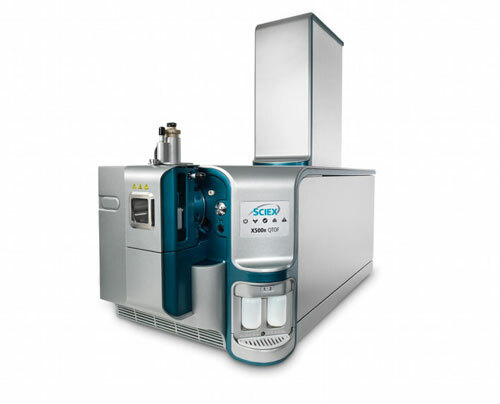 Today, SCIEX announced the launch of the new X-Series mass spectrometry (MS) platform. This revolutionary MS platform introduces an entirely new industrial design and is comprised of customized models, each fully-loaded with improved, easy to use software, methods and libraries custom-designed for targeted customer applications. The first model, the X500R, was designed exclusively for routine food, environmental and forensic testing labs based on extensive customer input. High resolution MS technology is still not widely adopted by routine testing labs due to lack of robustness and software ill adapted to users’ needs, making operation challenging and delivering complex and often unreliable results. The X500R overcomes these inadequacies with workflows that are easy to deploy for routine labs in a system balanced for high performance, ease of use, and reliability, so labs can adopt high resolution MS to collect clear, confident results without making performance trade-offs. SCIEX is also hosting a worldwide virtual conference event the following week, which will include demonstrations, discussions and presentations, and a press presentation.